Hey Beale, you might want take a look on this: photos of Soviet and Russian engines. Great actually! All are beautiful works of engineering. They are actually a lot smaller than I expected, in most cases. Especially for the colour schemes and such. Erm, I ask (as my translate is not working). Any more info on the ÃÂ Ãâ€-100? It is quite a strange shape from what I know as the "typical" nozzle shape. Ah, that's the engine from R-1, Russian "adaptation" of A4/V2. Guys can someone make a FAR Adaptation for launchers? I would presume it's something about the fairings. EDIT:Wait, there aren't any. So what's the matter? Well the V2 family had some non-military uses, including the first ever picture of Earth from space. 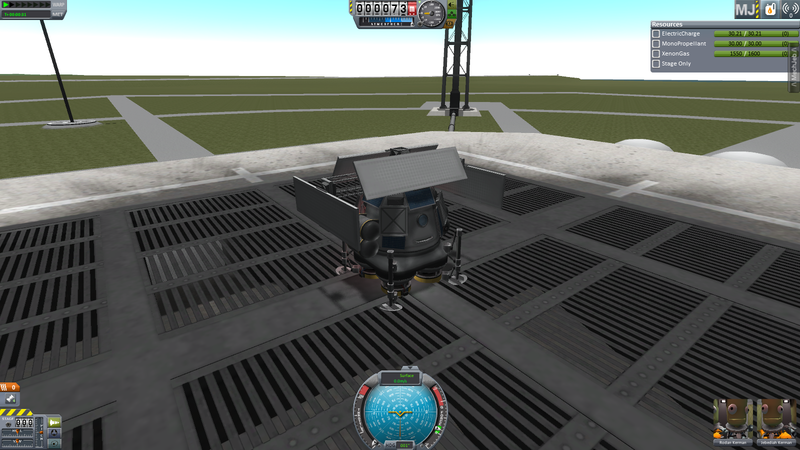 I think P-Fairings are FAR compatible, are they not? If Djolox maybe means to adjust ISP to not make the launchers over-capable, then I have to recommend KIDS for this kind of thing. More Fuji Concept, I don't think these have been posted yet. I've having a blast with the new Fuji , is the OM already available for download? P.S. : I've using the old IVA just fine, and the soyuz port and parachute work perfect too, thanks again! Thanks! Good to hear the old IVAs will do the trick for anyone who cannot live without. I've sadly been unable to do any "real" work on the Fuji in the past few days. Erm it will pick up soon. I just have a real busy week. You sound like you're trying to apologize for not turning out a part every day. That is somewhat ridiculous, don't you agree? A yes, you don't have to launch an update everyday! Totally ridiculous, Beale should of course take sundays off. Edit: The OM looks great! 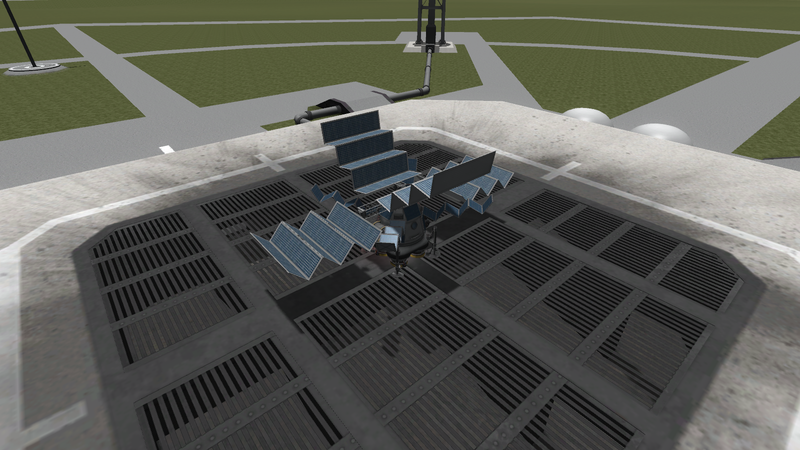 didn't the heat shield have a bottom decoupler, before? Pleeeeeease take a little time off! You've been churning out parts like a machine lately. Plus, some of us are in the middle of finals, and can't be bothered by having to constantly check out all the new hotness you keep producing. I enjoy it too much! Separate OMs have been a popular idea. But, for the time being I think it's good to just get the "basic" system out there. Polished with IVAs and what-not. Hah, I did not try re-entry yet so I didn't notice. I had the urge to kitbash some of the realistic designs from Tantares together, to create a space pirate vessel. The Nassau, as it's called, was cobbled together from early 21st century spacecraft parts. It operates from a large pirate ship, so the crew only has to live in the cramped space for a few days at a time. It is armed with four rocket pods and four chainguns. The low accuracy and short range of the weapons means its no match for patrol ships, but its formidable enough for unarmed merchantmen. The Nassau's tactic is generally to hide behind moons and asteroids on near low-traffic routes. When a helpless victim passes by they quickly catch up to it and either skewer it with the claw or if the victim is submissive enough, dock to it with its rearfacing port (while one of the crew keeps the chainguns trained on the ship). The majority of the habitable volume can be found in the forward cargo bay. So when it is filled with loot after a succesfull raid, the crew have to make do with a closet space each of room for the return journey. Beale: Just a small thing, but right now the Fuji OM is in the propulsion category. ...have to recommend KIDS for this kind of thing. What is KIDS? Where do you get it? What is its relationship to "eagle shift"? I'm curious because I feel that the tlv and slv are over powered. A few ion landers I've made using Tantares! Tons of Delta-v, good for grand tours. 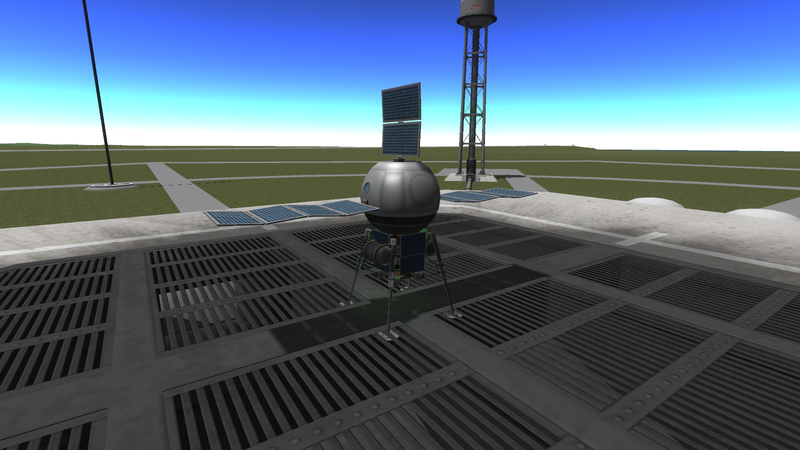 A small one person lander, works on most moons! 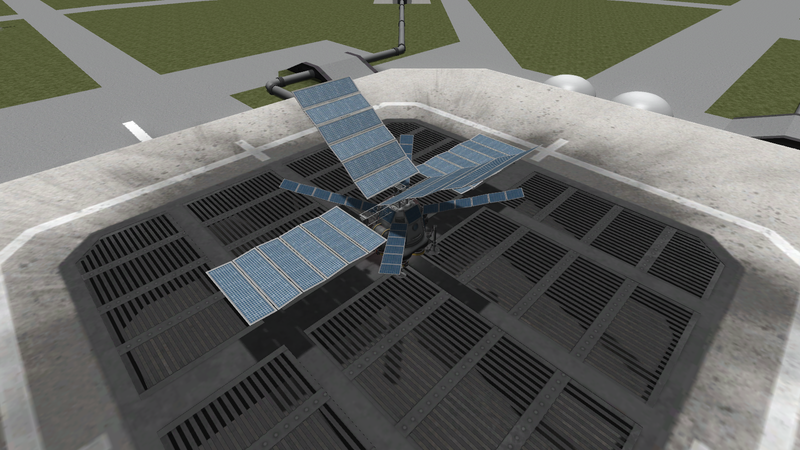 A two person, quad engine lander. Works on most moons, although fewer than the one person lander. Probably a bit sloppy and over engineered, but still good. *Warranty void if used at night. Just wondering, any ideas how the Fuji was planned to be launched? I imagine an Apollo-style launch configuration requiring the TD&E maneuver, as I can't picture having that huge OM in front of the capsule soyuz-style... but cannot find any indication this way or the other. Are there any resources I'm missing? Ah, yes, I am aware. Ehm, chalk it up to laziness at the moment! KIDS is "Kerbal ISP Difficulty Scaler" It allows you to adjust the ISP of all engines to "nerf" designs to be more balanced for FAR / NEAR, etc. I think it is a must if you want to play with FAR/NEAR! Ehm, you know I wasn't really aware manned "Ion landers" were a thing. Consider this something else added to a list of "things to try" ! You are spot on with TD&E. But, I cannot find the source at the moment... For my own Fuji, I imagine two docking ports in between the OM and CM would look a little ugly, so I would suggest "Soyuz Style". A powerful LES (The stock one maybe?) "should" be able to pull the whole assembly to safety. Something is definitely strange... You know I am really curious now, perhaps version 12.1 is being linked to from somewhere else. Maybe CKAN? Have you considered making the Dragon spacecraft? After all, Cygnus is in the pack, so why not add the other commercial spacecraft that services the ISS? Consider this something else added to a list of "things to try"! They're really fun little ships! These ones all have a TWR of at least 1, so landing isn't too difficult. I wasn't really aware they were a thing either, until I started to checkout some of the Jool-5 challenge entries. This guy in particular made some impressivly tiny ion ships: tiny ion explorers . Sorry, I do like the Dragon and Dragon V2, but they're not for me, sorry . The LazTek Dragon is quite good I think and not too far from stock. Someone had sent me a private message containing an amazing stockalike Dragon V2 that was in the works, but I'm not sure if they would like me showing it off here.